I read this article and found it very interesting, thought it might be something for you. The article is called Brand New Retro: Twilfit House and is located at https://www.totallydublin.ie/more/brand-new-retro-twilfit-house/. Twilfit House opened as a corset factory exactly 90 years ago. Located at the corner of Jervis St and Upper Abbey St, it is now home to the National Leprechaun Museum and a Ben Dunne gym. The building is a wonderful example of indigenous industrial architecture. But with plans approved to demolish it for a new 8-storey hotel, one fears 2018 may be the twilight year for Twilfit House. 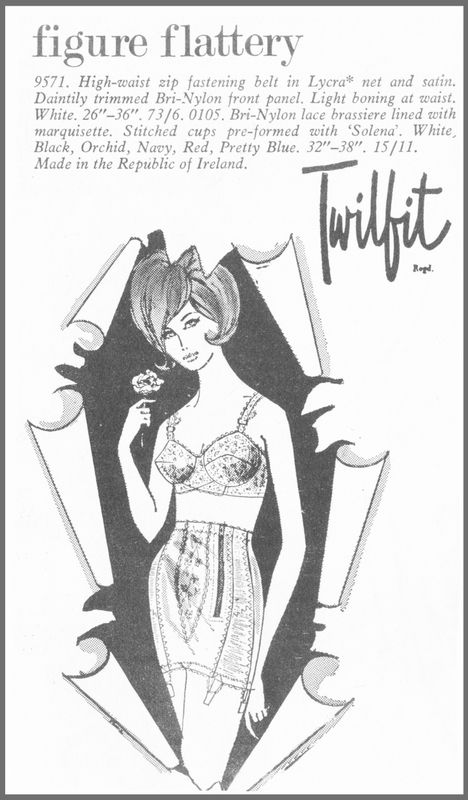 Twilfit (a play on “it will fit”) was a world-famous corset brand manufactured by Leethems, an underwear company from Portsmouth. 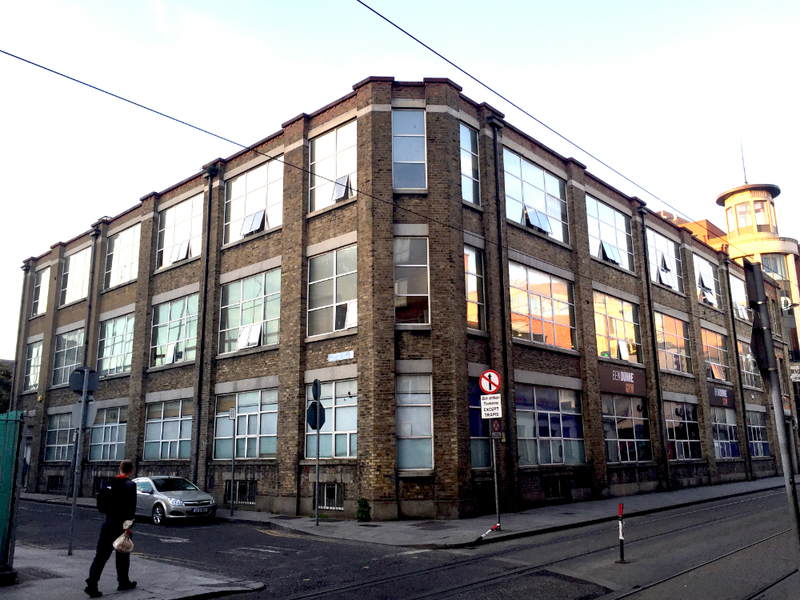 Leethems came to Dublin in 1926 and set up Leethems (Ire) Ltd before moving into rented factory space. In 1928 they built Twilfit House, naming it after their popular corset. Twilfit House was spacious, bright and equipped with modern machinery and electric lifts. It employed 300 people. The factory was a symbolic, tangible achievement. Such success was timely and important for the nascent Irish Free State keen to develop industry at home. At the official opening of the factory, President WT Cosgrave said, “Our country should support its own manufacturers. The materials are cut in Ireland, the labour is Irish, the article is finished in Ireland and the corsets are packed in Irish made boxes”. 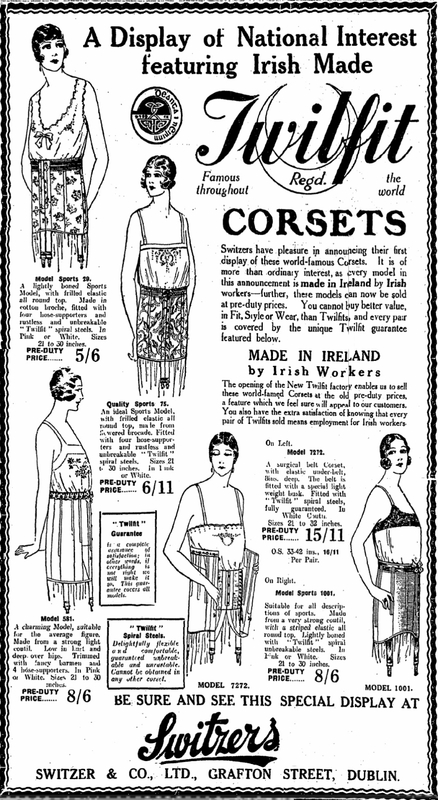 The marketing of the corsets also focused on the benefits of buying Irish. Adverts carried two key messages, ‘Made in the Free State’ and “Sold Free of Duty”. Take a look at the message in this Switzers advert: “The opening of the new Twilfit factory enables us to sell these world-famed corsets at the old pre-duty prices. You also have the extra satisfaction of knowing that every pair of Twilfits sold means employment for Irish workers.” With sales booming, the factory struggled to cope with production space. In 1932 the factory was extended with a new third floor added to the top of the building. By 1973, changing attitudes, fashions and trading conditions caused business to decline. Staff numbers fell to 120. After 45 years, Leethems (Ire) Ltd decided to quit and sell. Since then, Twilfit House has hosted many owners and tenants. FAS, for example, were there in the 1990s. But now, with big plans for the site, the former underwear factory is under threat. Many objections were made against the proposed 218 bedroom hotel, but planning permission was granted by Dublin City Council in March. However, in April, a local resident, concerned about the negative impact on the adjacent Wolfe Tone Park, lodged an appeal with An Bord Pleanála. Their decision is expected in the next month or two.